Passions are intense emotions that grab hold of us, shake us up, and take us to amazing destinations. Our destination is not a place, but a new way of seeing things. Alta Badia is one of these destinations, a resort where you can live out your own personal passions. 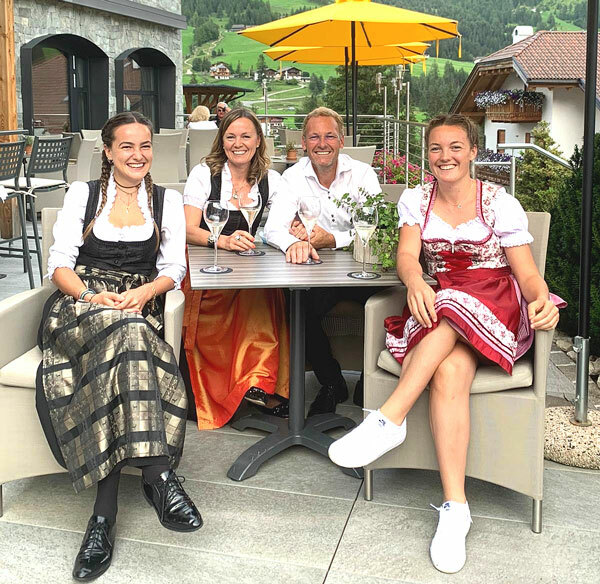 The NEW Hotel Ciasa Soleil combines South Tyrolean tradition with modern hospitality, and is surrounded by the most beautiful peaks of the Dolomite Mountains. Our family-run hotel is located in the heart of Stern/La Villa, in a sunny and peaceful setting far away from local traffic. Thanks to the hotel’s ideal location at the foot of Gran Risa, the most famous ski slope in Val Badia, you can ski to the lifts and Sella Ronda right from the hotel. Our hotel is also the perfect starting point for hikes and excursions, as well as for bicycle or motorcycle rides. We are specialized in hiking and bike tours. In summer we offer 4 to 5 tours per week: mountain hikes, herb walks, and bike tours with road or mountain bikes, all with varying levels of difficulty and our own certified guides.